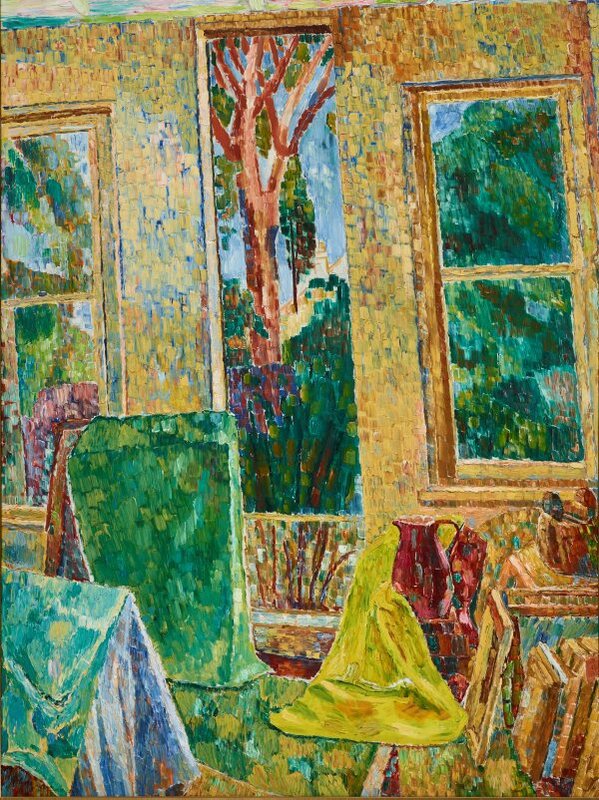 From the late 1950s Cossington Smith embarked on her last series of paintings whose subjects were drawn from the rooms and spaces around her home. 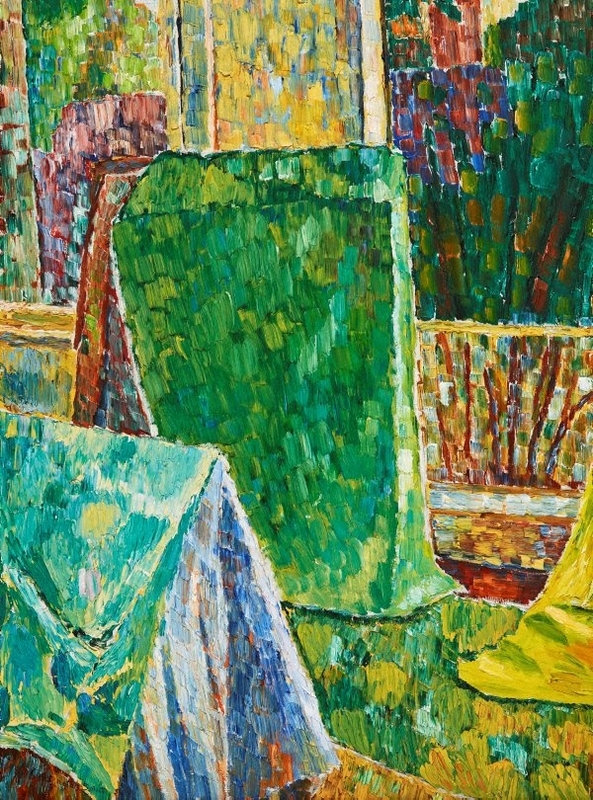 With their mosaic-like surface of broken brushwork evoking a sense of light radiating through colour, Cossington Smith transformed her unassuming subject matter into sites of extraordinary energy and majestic form. These paintings became her crowning achievement and sealed her reputation as one of Australia's greatest colourists. In this work her technique is at its most assured. 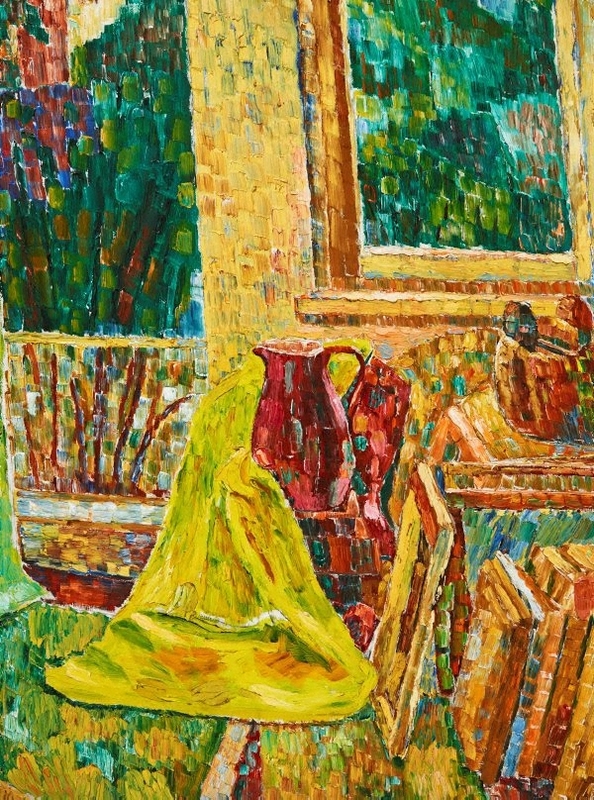 She combines, in small dabs of unblended colour, richly saturated hues of greens, yellows, blues and reds. Setting her subject in a tilted compositional frame there is a strong feel for an intensely personalised portrayal of the world as seen through the domestic interior. Signed and dated l.l. 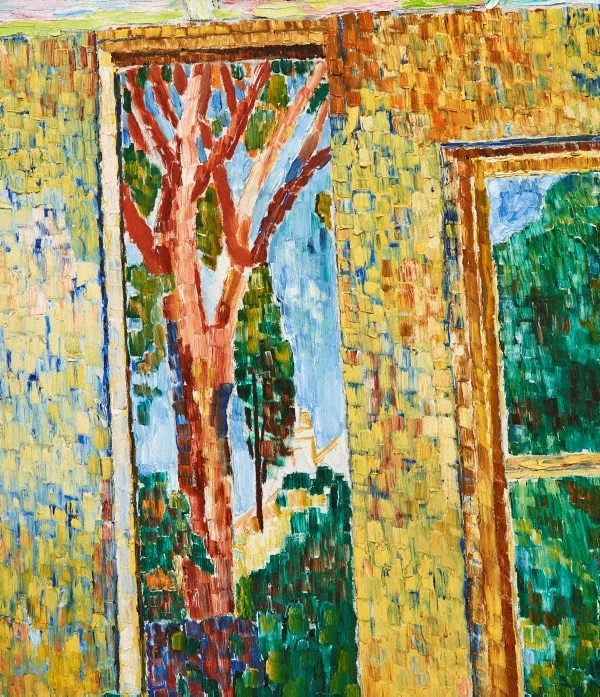 corner, black oil "G. Cossington Smith 56". Signed u.l. corner verso on board, pen and black ink on white adhered label ".../ Grace Cossington Smith". Bruce Adams, Hemisphere: An Asian-Australian Monthly , 'Innovator in a garden studio', pg. 2-8, Sydney, Jun 1973, 4, 5 (colour illus.). Michael Brand, Look , 'From the Gallery director', pg. 11, Sydney, May 2015, 11, 26, 27 (colour illus. ), 28.